One of the Industrial Designer’s strategic roles is product development. However, we believe that it may also extend into the domain of branding. Not only might we design a product, we might also present it, a role that is traditionally for brand managers. It is a practice that already occurs for us in the exhibitions we give, whereby we present posters and presentation material, all to communicate the meaning of the product. In this article we will show you how we believe that designers could be more influential at presenting a product towards society. At any given point in time, society has certain aspirations. People want to obtain a certain identity that they currently have not. Such aspirations are formed by social-cultural events, history or may come into existence through stories and myths (today through journalism, television and ads, films and characters such as JFK, Rambo and unfortunately also Justin Bieber). They may often be preceded by a paradox in society. For example, there is a difference between rich and poor yet Christianity says everyone is equal. Or, life is about having fun and living it to its fullest, yet we need to work to make this possible. Aspirations such as these are often common through a population. This means that your aspirations look a lot like the aspirations of the person next to you. Designers create meaning in products within these collections of aspirations, or ideologies, formed by the socio-cultural environment. Sometimes the meanings they create in products are a bit too far ahead, or sometimes they lack a little behind. Either way, they are aimed at whatever they interpret to be the growing trend in society. Companies on the other hand, may decide to stay on the same course. So how is it possible that we feel somehow related to products ? Holt describes that here is a distance between personal experience and the national ideology as presented through different media, such as newspapers and television. This gap can result in desires and anxieties, am I an outcast? Do I even fit in this system? Branding can be defined as creating stories that respond to these uncertainties by proposing new identities to people. These brands often source these identities from populist worlds, such as music, film and television. Brands load these stories into products we use every day, and therefore provide for ritual action. Yet, myths can be generated by companies to show what the world should be like and what people want to be like. They may propose certain identities. Take for example, the Axe commercial with the billions of women. We might all agree that all of us (the guys at least) would like to have this happened, as this is a common aspiration. However, it is a myth that this will actually happen by using Axe’s products. The Coca-Cola Zero commercials communicates a similar kind of story; drinking Zero Coke will make you awesome. 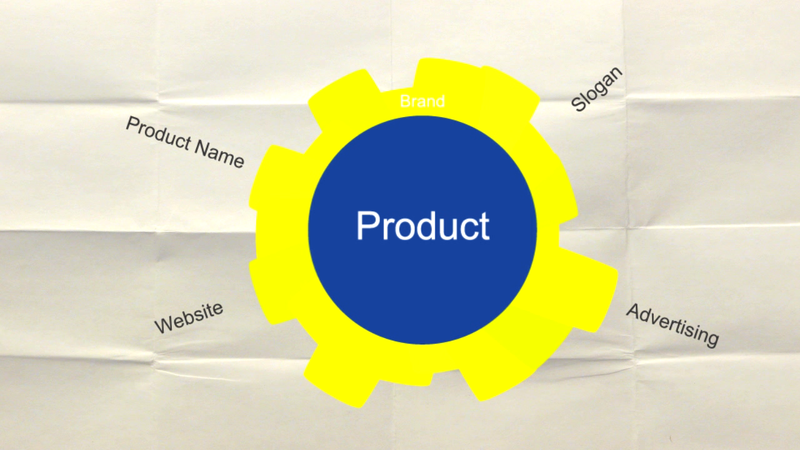 Brand marketers may relate the product to a certain ideology in society, and create a product halo, a sort of outer shell, around the product that projects this; the product itself may not be based on it at all. We, as designers, don’t have to resolve to identity myths, creating meaning for the product that isn’t designed in there. First, people can actually change their behavior when consuming a myth. Through consuming, people become connected to the ideology around the brand and therefore can change their behavior accordingly. They believe their identity has reached the aspirations that they had. This all happens regardless of any functional ingredients that might be present in these consumables. Because you use Axe as a body spray and believe you attract more women, you might actually start behaving this way, regardless of any revolutionary pheromones in the product itself. Axe and Coca-Cola are hard to design for in such a way that they live up to the aspirations they are now trying to tap into. So technically it is impossible to have Axe’s R&D department develop something that can realize the myths they present to you in their commercials. Second, please note these are consumables. The same process also happens in other market segments, such as consumer electronics. Brands create different products that are essentially the same and use marketing techniques, such as advertisements and commercials to position each product in the market as supporting a particular ideology. This process then creates a demand from various specific target groups. As designers we do not believe in ideologies as presented earlier. We can be valuable when we take this ideology from the beginning and design the product with these intrinsic desires in mind, to actually get closer to that ideology. This is then reflected in the design of the product itself (i.e. 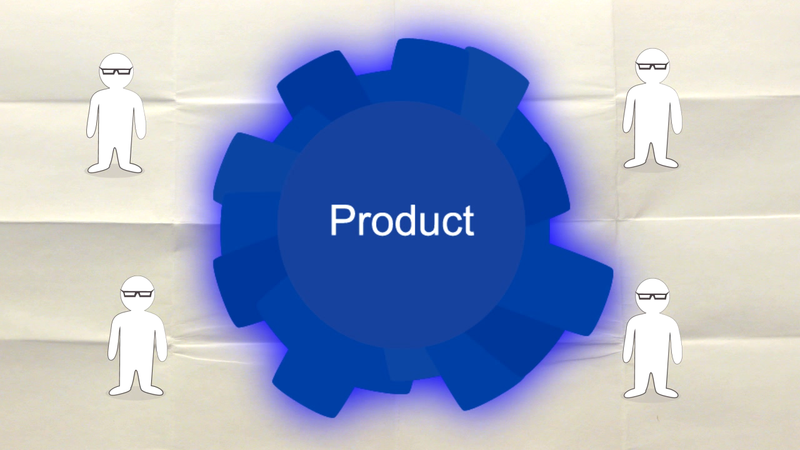 the form or function of the product). We believe that during our design process, we are best at working and implementing an aspired identity, or an ideology in society, in a product. This is contrary to delivering a product that is picked up by branding and given a meaning that it does not have. Designers are in our opinion better at creating the product’s impression than brand managers, as they do not have to resolve to creating the halo, they can rather create the core. Designers may help brands become icons through integrating ideologies in quality design rather than using conventional branding activities. Presenting ideologies in such a way prevents product myths to be created and lowers the risk that a company takes in misleading the consumer. In a time in which consumers are getting better informed and more critical, largely thanks to the internet and television, they become able to penetrate the halo. Consumer’s associations such as ‘De Consumentenbond’ or ‘Kassa’ are accessible to consumers and show whether the product actually lives up to the brand and its ideology. A development that hasn’t really been present before, yet is now posing a risk for brand marketers creating identity myths. Consumer’s Association may penetrate the brand shell by informing consumers about the core product. Next to developing quality designs that incorporate an ideology directly, we also want branding departments to tell the story of the product in the way we envisioned it. Say we write a fairy tale with the underlying meaning of that you have to respect all little things in life. If the story is then told differently by someone else, we feel that it isn’t what we meant and it loses its power. So, can we best tell the story ourselves then? Do we designers want to create the ads, the name, the slogans and all other presentation tools ourselves instead of relying on other departments? The answer here is no, brand managers can best fit it in a larger collective whole, for example the work of others or the company’s current track. We do want to communicate strongly to brand managers how to capture our intended meaning in their produced material. So in our conclusion we may state that it is important for the designer to communicate strongly to brand managers how to capture our intended meaning in their produced material. Forty, A. (2005). Objects of desire: design and society since 1750. Thames and Hudson. Gladwell, M. (2007). The Tipping Point: How Little Things Can Make a Big Difference. Findaway World Llc. Holt, D. B. (2004). How brands become icons: the principles of cultural branding. Harvard Business Press. Karjalainen, T.-M. (2004). Semantic transformation in design: communicating strategic brand identiy through product design references. Taideteollisen korkeakoulun julkaisusarja, A (Vol. A 48). Helsinki: University of Industrial Arts. Verganti, R. (2009). Design-driven innovation: changing the rules of competition by radically innovating what things mean. Harvard Business Press.